There is a "anti-virus," although many call it a virophage.In 2008, a paper in Nature was published about the observations of a new strain of a virus known as Acanthamoeba polyphaga mimivirus. This virus mainly attacks amoeba. It was discovered in 1992. It was one of the biggest viruses ever found.Later, a related virus called the mamavirus was discovered. But, after observing this specimen under an electron microscope, scientist found tiny viral particles attacking the mamavirus. It was called Sputnik. The Sputnik virus hijacks the mamvirus's machinery and depends on the mamavirus to survive. It made scientists wonder if the mamavirus is a living thing. Sputnik virophage is a subviral agent that reproduces in amoeba cells that are already infected by a certain helper virus; Sputnik uses the helper virus's machinery for reproduction and inhibits replication of the helper virus. 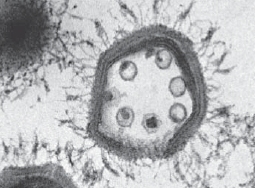 It seems that there are more species of virophages, including one that infects the marine phagotropic flagellate Cafeteria roenbergensis in the presence of a second virus — Cafeteria roenbergensis virus and another one known as the Organic Lake virophage but not much detail is known about this virus. It may be possible to synthesize one in the future. However using this to kill viruses would not make sense because the virophage technically still attacks the host of the virus it is hijacking, plus, from what I understand, it only uses the virus's machinery. There is no anti-virus to all viruses and there is no such anti-virus against a single virus yet, but there is immune response to virus. How efficient the immune response is then depends on many things. There is no perfect immune response. To develop such an antivirus that decreases viral load requires cooperation with the immune response. To develop such an antivirus is still in very very early stages, since we do not understand the fine regulation of many processes going on in the viral pathogenesis and how to stop them. There exists in the nature some viruses that attack other viruses. However, we do not understand if they attack just one or two viruses. See Abraham's good answer here for the latest publications in Nature. The immune response tries to eliminate the virus through antigen presentation and cell-mediated immune response. The humoral immune response works in the local sides where the cell mediated immune response does not reach. However, the immune response is sometimes (and often) insufficient to kill the virus. To develop such a general anti-virus is difficult because of a variety of different viruses: (RNA vs DNA; positive sense vs negative sense; single strained vs double stranded; intracellular replication vs extracellular). where HIV infects the antigen presentation cells (APC) (dendritic cell and macrophages) and monocytes. It replicates actively in the lymphatic circulation. Since APCs are out, it is difficult to kill the virus. To develop such a general anti-virus against HIV would require very specific understanding of many things: probably, iPS cells and development of antigen presentation cells. My conjecture is to develop an APC cell that has receptor to HIV virus and so can reach it. However, only theory. Gamma interferon should be included in the intersection between innate and adaptive immune systems. Interferons may play a central role in the future in the development of such anti-viral drugs, because they are specific. For instance, the activation of IFN-gamma stimulates the phagocytosis of macrophages against the mycobacteria tuberculosis which is facultatively intracellular (can be intracellular when necessary). Innate and adaptive immune systems are visualised on the plane in the figure. You have then humoral immunity working around that plane as circles. 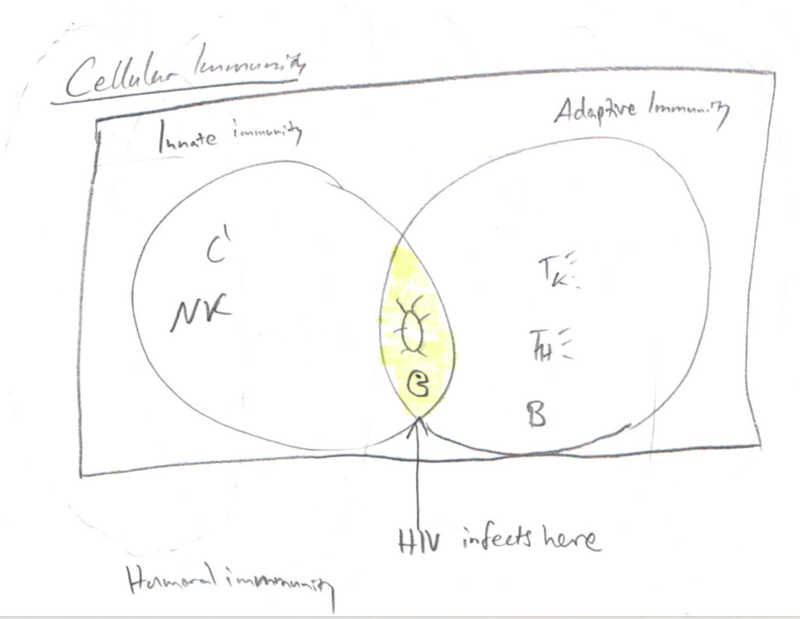 I emphasize with that the local nature of humoral immune system and how it extends the cell-mediated immune system. Any attack on the heart of this system i.e. antigen presentation will also risk the humoral immunity and thus cause fast progression of the disease. In summary, all measures that are used to decrease the viral load aim to target the immune system to express efficient way of decreasing the viral load (killing is just one of them!). This can be done through many ways - most of which we do not know much yet. iPS stem cell research and interferon research can be some good ways in the development of good anti-virals. However, this will take still many years (probably at least 40-50 years) to have enough control of the specific viral pathways. But is there something like an anti-virus? A single celled entity that does the opposite: spreads around 'kills' other viruses and/or cures diseases. Has anybody discovered something like it or is there any research group working on synthesizing one? Since most answers have already covered multicellular immune systems, I will try to explore the concept of unicellular immune systems. 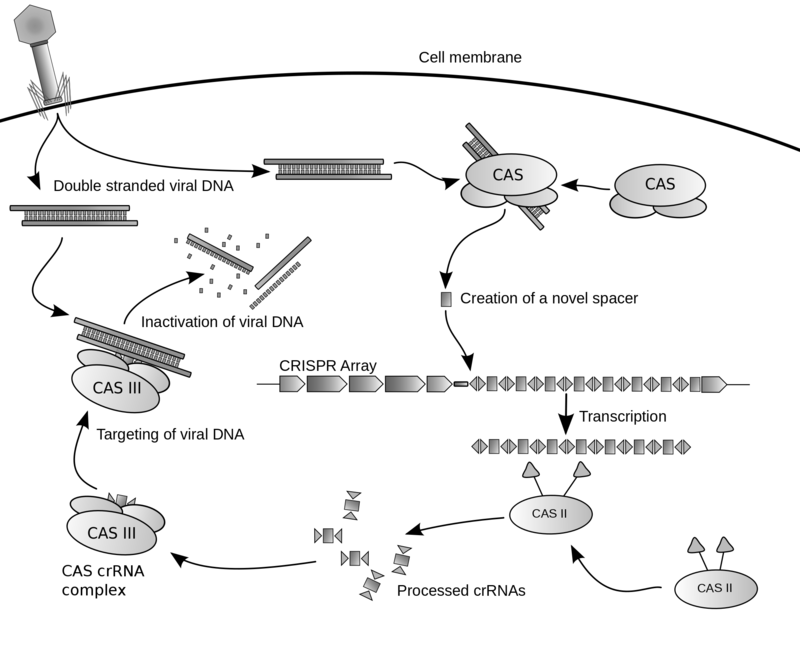 The now famous CRISPR-CAS system originally evolved as a bacterial immune system to protect itself against phages. Much like computer-based antivirus solutions, CRISPR CAS relies on a "signature" system. Known targets for the CRISPR CAS system are encoded on bacterial DNA, and these known signatures are then transcribed and processed into short guide RNAs known as crRNAs. These crRNAs are then used by the CAS protein complex to target and cut up (therefore inactivating) these DNA strands that match. This therefore allows the cells to possess a native antivirus system that can "receive live updates" just like a commercial software antivirus program by simply modifying their "signature list" of possible pre-crRNAs. Well, there are antiviral drugs that inhibit virus development. However, they are drugs, not cells but they can be quite effective in controlling diseases. They are also quite available to the public and perhaps you (or someone close) have used them. For instance, Zovirax (acyclovir) is used in lip herpes. Also, HIV therapy is used effectively to increase the life expectancy of AIDS patients. Not the answer you're looking for? Browse other questions tagged virus retrovirus or ask your own question. Which virus capsids consist of only one type of capsid protein?